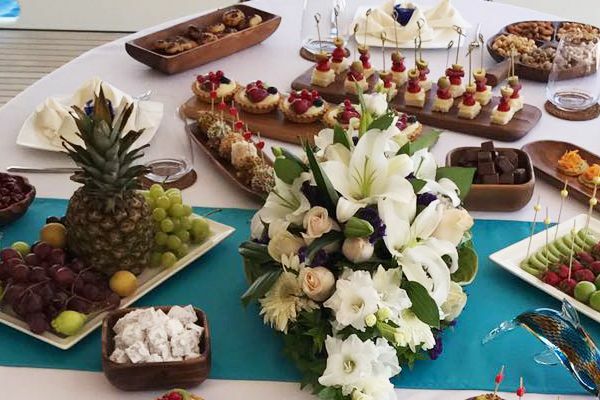 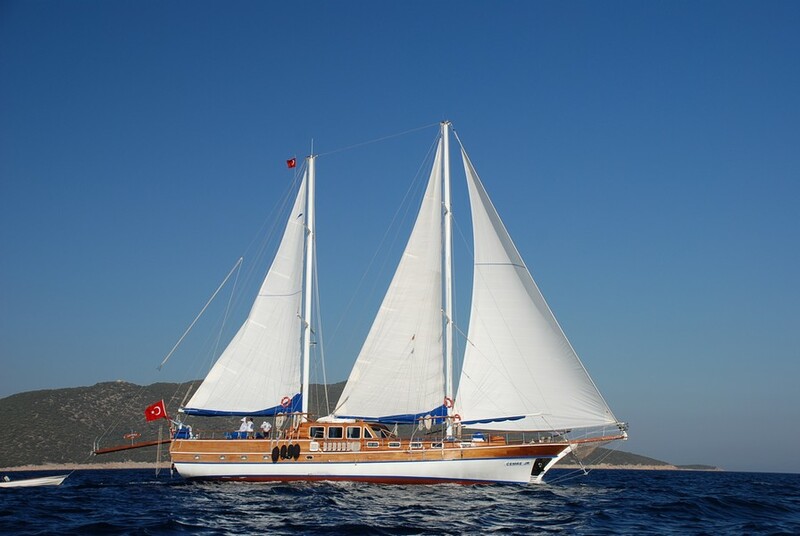 For a group or family with up to twelve guests the luxury gulet Cemre Junior offers all the comfort and style of a sailing yacht charter holiday afloat, looked after by the experienced and hospitable crew, while discovering the Turkish Aegean coast or the nearby Greek Islands. 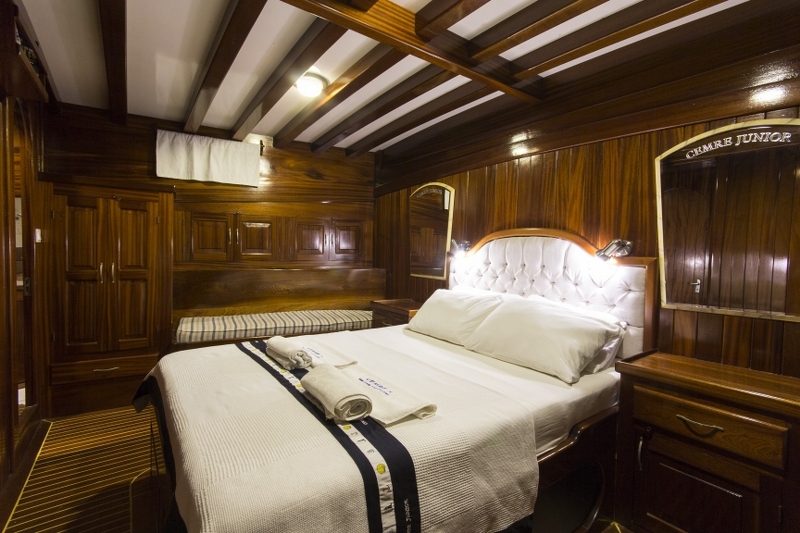 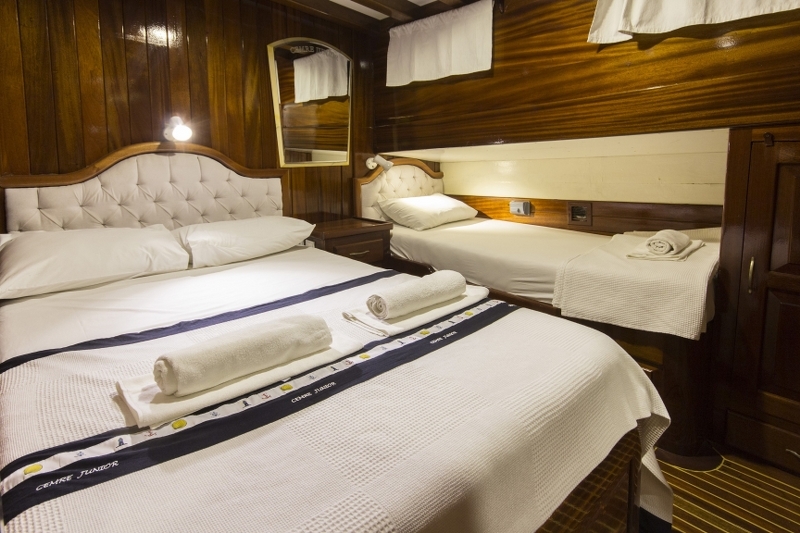 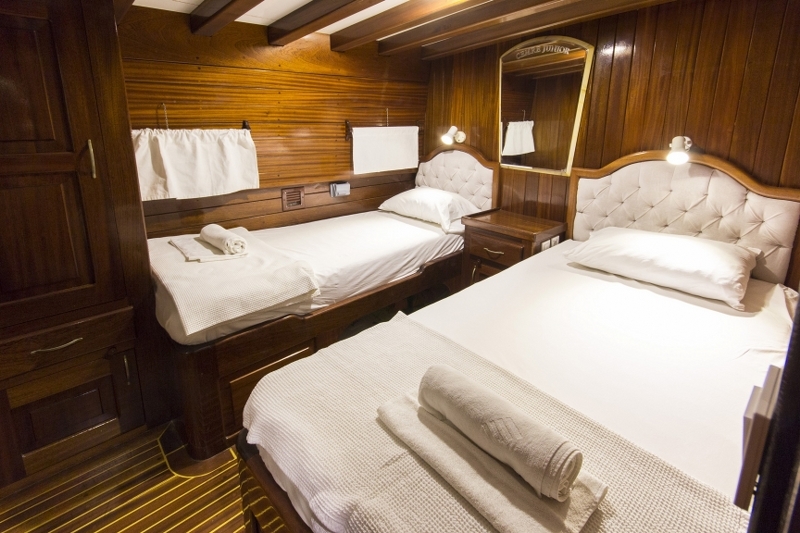 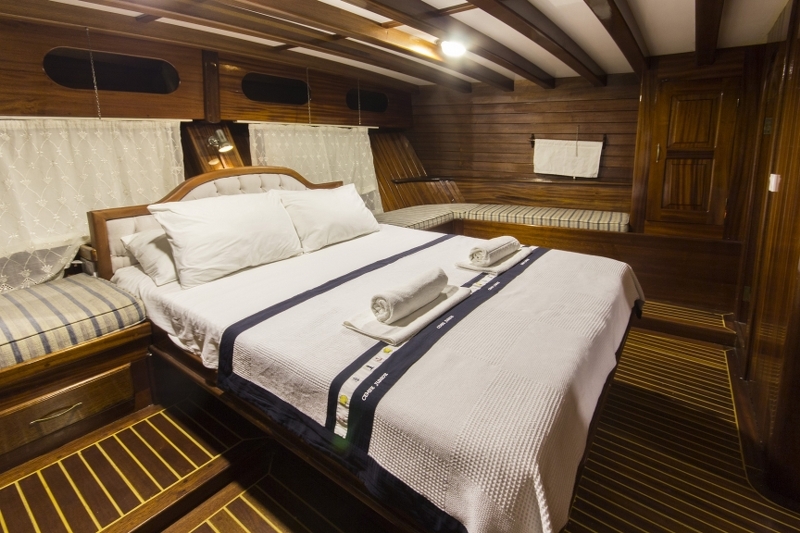 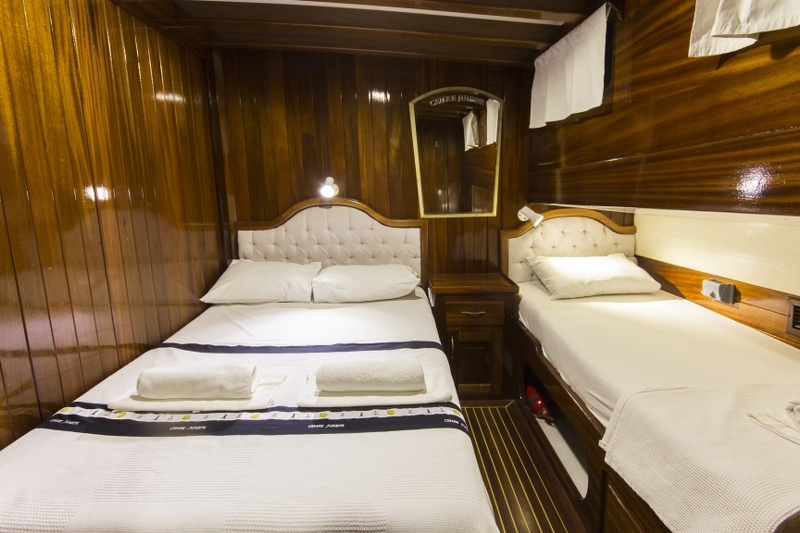 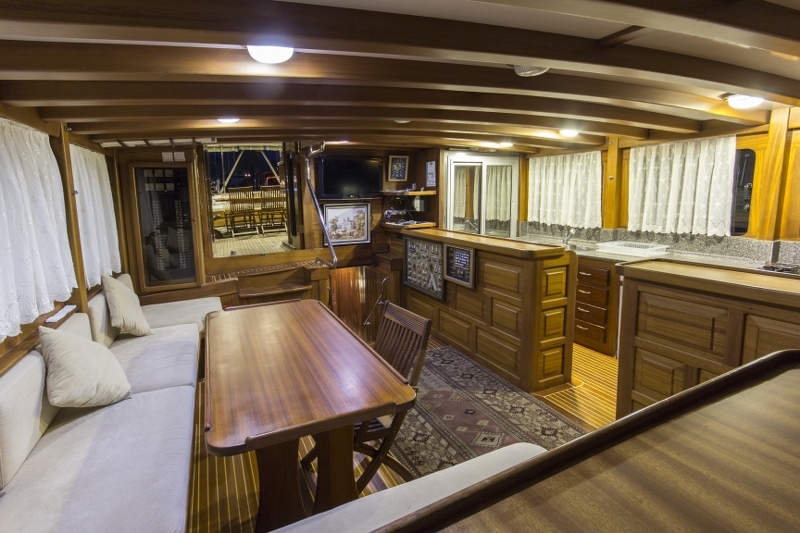 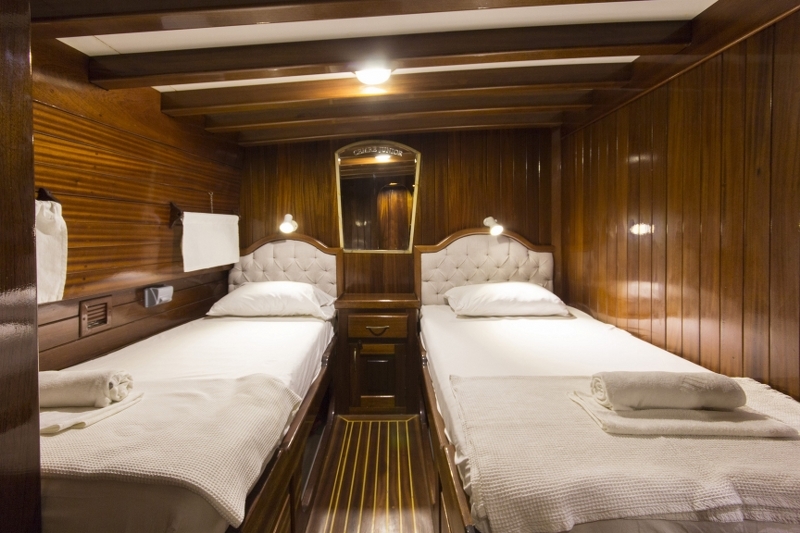 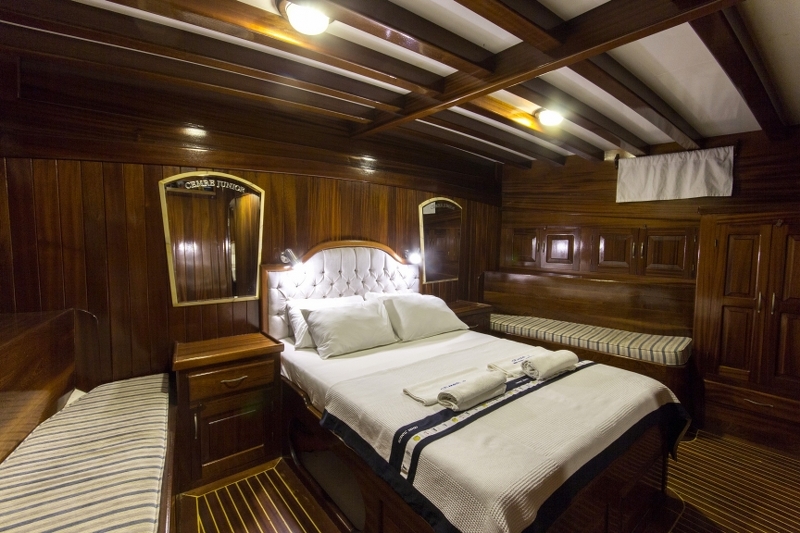 Each of the two master cabins fore and aft have a centrally placed double bed with cushioned benches to the side, while the other four cabins all have a double and a single bed so may be used as a double, twin or triple cabin. 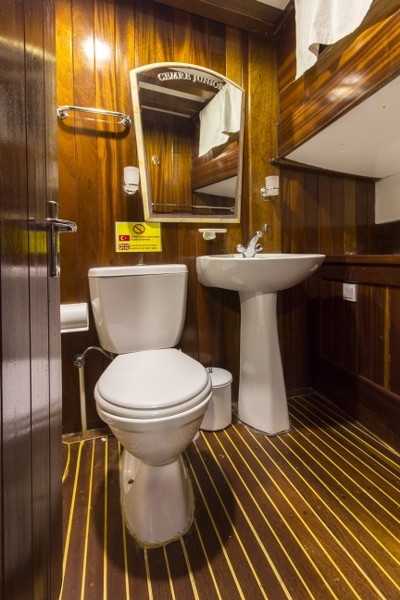 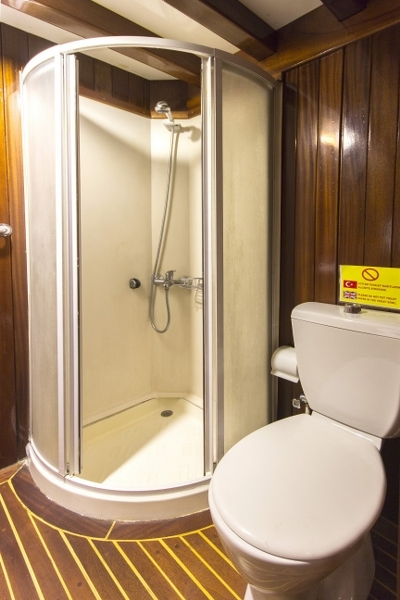 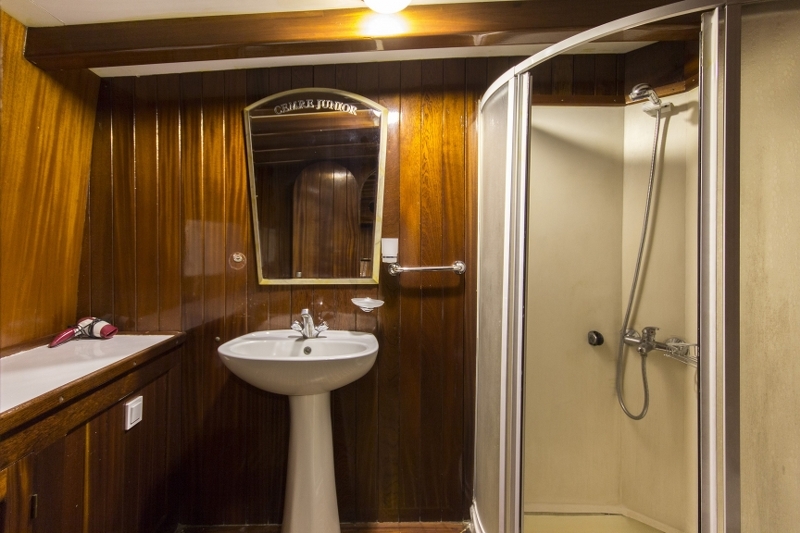 All cabins have a well-appointed en suite bathroom, and air conditioning available throughout. 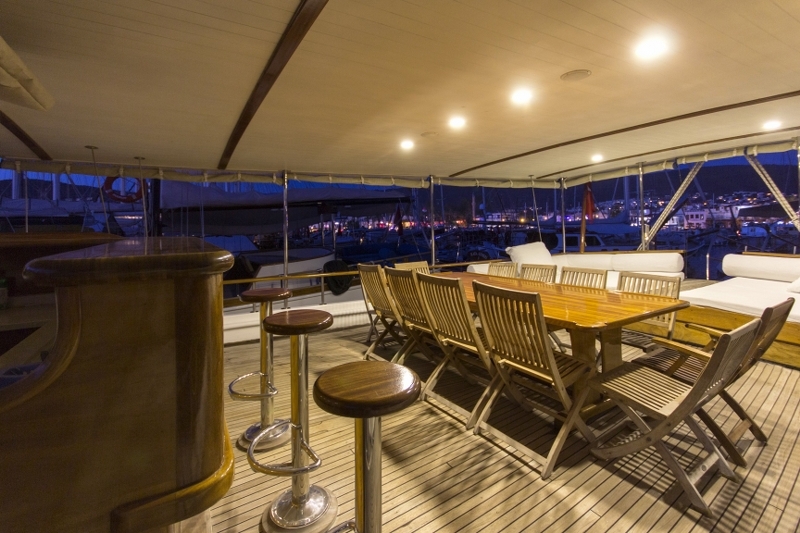 Air conditioning is also fed into the communal indoor saloon where a dining table and seating nook offers an alternative spot to relax. 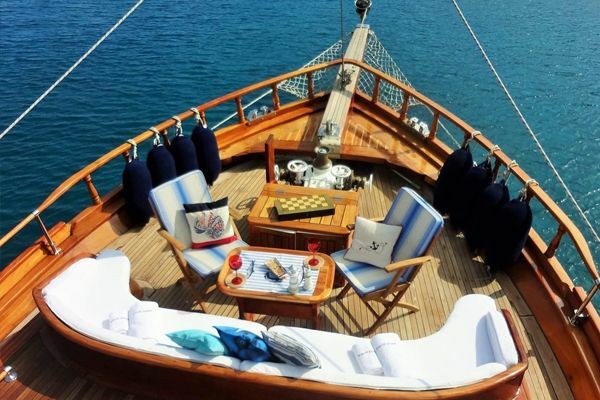 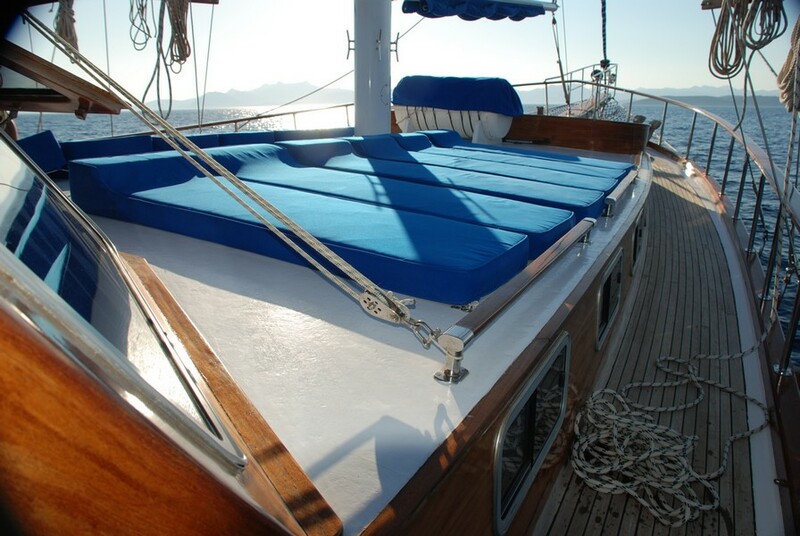 But the only place to be on a gulet is on deck in the clean fresh air, either relaxing under the shade awning on the aft deck stern cushions, dining at the table over long delicious meals prepared by the cook, or lazing on the sunbeds on the fore deck. 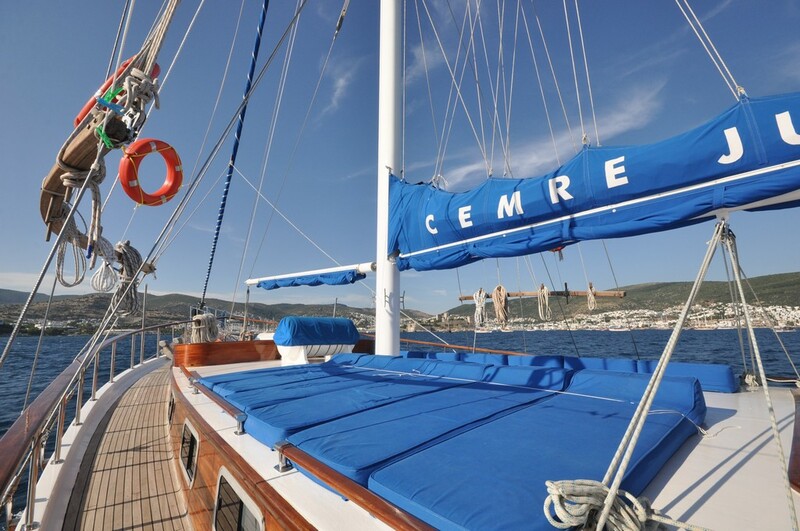 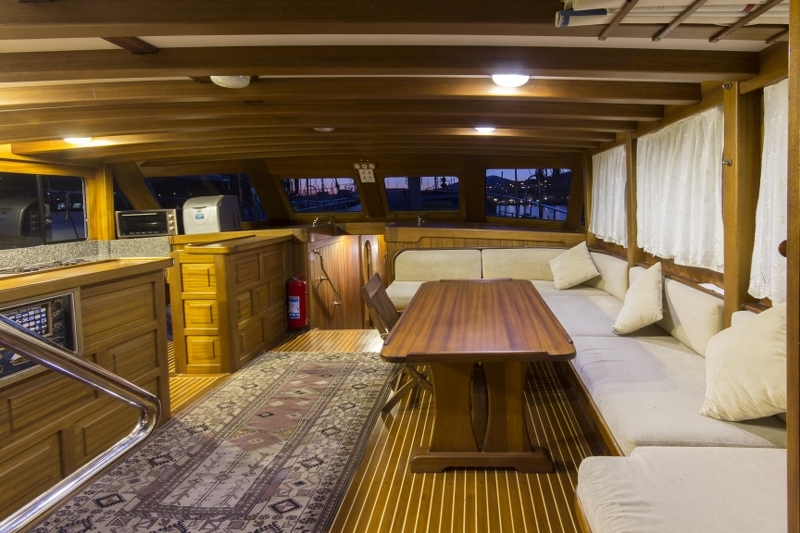 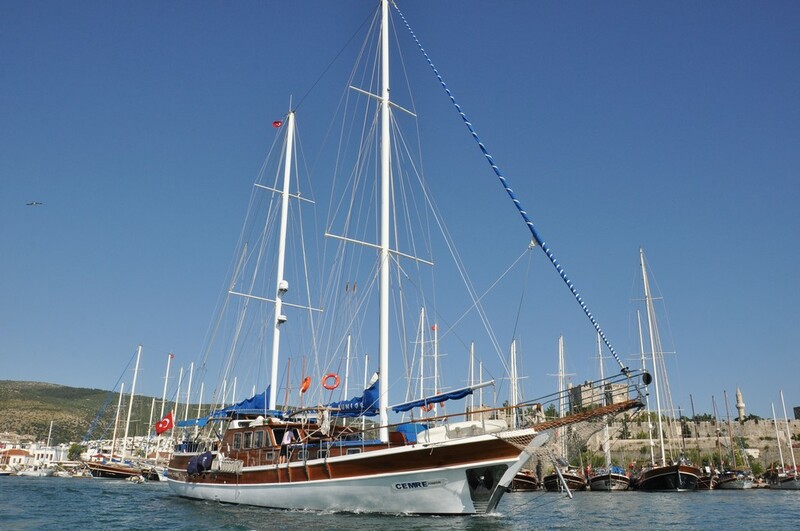 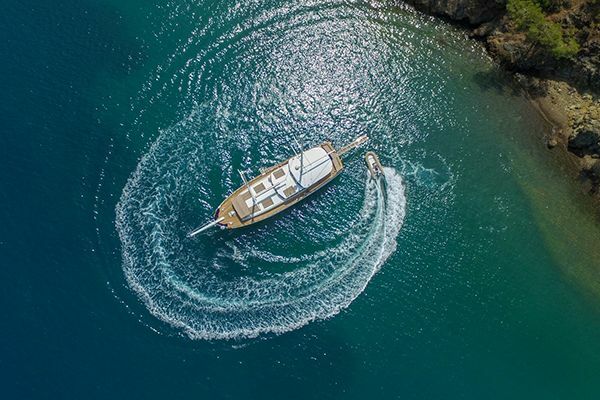 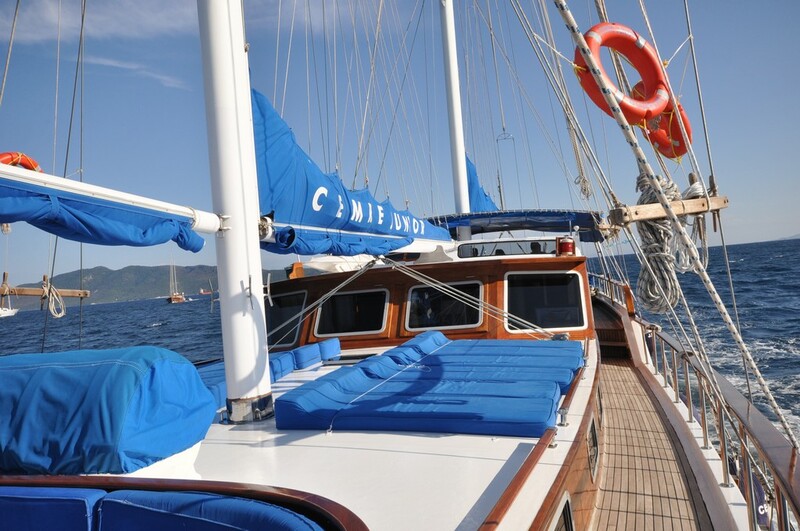 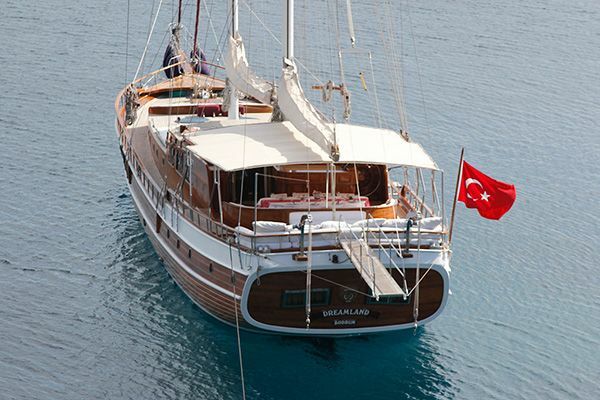 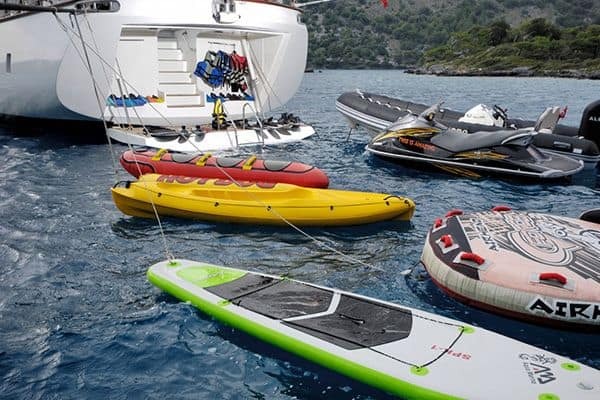 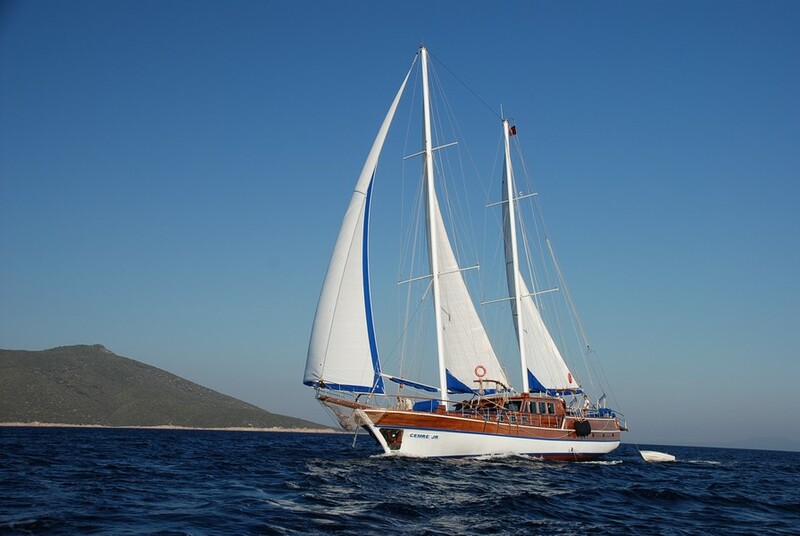 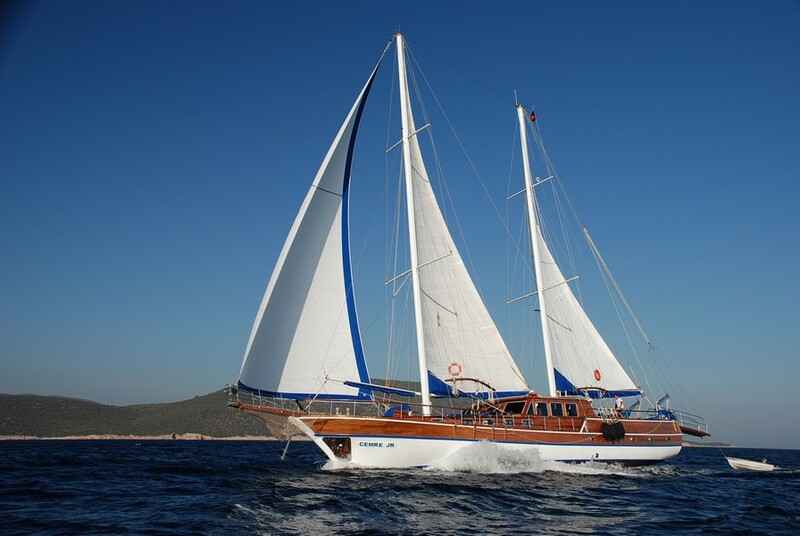 Guests will enjoy sitting under the sails when the captain of Cemre Junior turns the motor off and lets the gulet run across the waves, or taking out the canoes and snorkels and exploring while in a quiet bay.